Next up in our positional reviews is center field. Hopefully a year from now, this will be mainly be about A.J. Pollock, but we’ll see. In 2018, the Dodgers featured four players with significant playing time in center field. 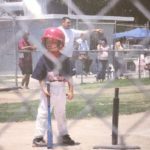 Cody Bellinger was the closest thing the Dodgers had to a full-time center fielder, yet he’s also the full-time first baseman. Pollock makes a lot of sense to alleviate this issue and get Bellinger back to his primary position where he has gold-glove potential. The Dodgers faired very well in production from the center field position in 2018. This is significant because besides Bellinger, their second most prominent center fielder was a super-utility player in Enrique Hernandez. Bellinger led the team with 494.1 innings played in center and Hernandez had 372.1. For example, Pollock was 13th in the MLB with 936.0 innings in center field, and that was in just 113 games. In 2018, Hernandez essentially had his breakout year. The super-utility player logged innings at every single position besides catcher, playing significant innings at shortstop, second base, and center field. Over 462 plate appearances, his offensive performance was impressive. He dropped his strikeout rate from 26.2% and 23.4% in 2016 and 2017, to a very solid 16.9% in 2018. In 2015 against right-handed pitchers, he posted a 64 wRC+, followed by a 44 wRC+ in 2016. In 2017, that mark dropped down to just a 36 wRC+. In 2018, the reason he had the most appearances and production of his career was his recently developed ability to hit against right-handed pitching. This was the first season of his career where he was actually better against right-handed pitching, posting a 113 wRC+ against LHP, and a 123 wRC+ against RHP. His surprising power translated with his increased playing time, hitting 21 homers, tying Matt Kemp for the sixth most on the team. His .214 isolated power was 47th in the league amongst 183 batters with 450+ plate appearances. While not insane, that puts him in the area with Charlie Blackmon (.211), Bellinger (.210), Mitch Haniger (.208), and J.T. Realmuto (.208). His 3.3 fWAR in just 462 plate appearances with fifth on the team behind only Justin Turner, Max Muncy, Bellinger and Yasmani Grandal. On a rate basis, Hernandez had very impressive production considering the damage he did as a part-time player. If his performance was extrapolated to a full-time 600 plate appearances, this is how he would’ve fared. 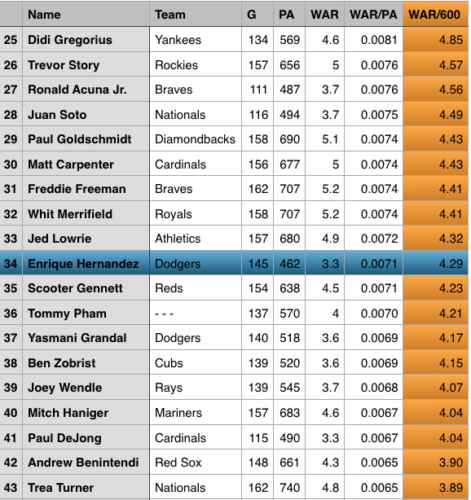 Essentially, Hernandez was really really good last year, and unless something changes, he needs to get at least 450 plate appearances again in 2019. Toles played just 55 innings in the MLB last year, with 50 of those in center field. He didn’t do much in his 32 MLB plate appearances, but that’s completely fine because the sample is so small. In Triple-A, he posted a triple slash of .306/.345/.461 for an OPS of .807 and a 110 wRC+. 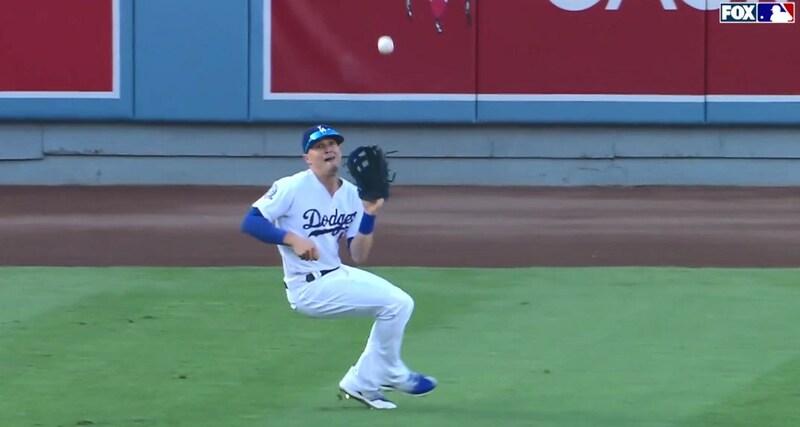 That’s very solid, and he’s ready to be the fourth outfielder for this team with the loss of Yasiel Puig and Kemp. However, the signing of Pollock makes it harder for Toles to get playing time and Alex Verdugo being ready makes it even more difficult to see room for Toles. He’s the kind of guy that makes sense to trade to a team with a weak outfield (Cleveland), or an up and coming team that needs a controllable outfielder moving forward. Locastro had just 14 plate appearances and 22 innings in 2018. He was often brought in as a pinch-runner, successfully completing all four of his stolen base attempts. He was traded in November to the Yankees for Drew Finley after being designated for assignment. Part of the reason they traded Locastro is likely that he’s 26 and ready to be part of an MLB outfield rotation. If he stayed with the Dodgers, he’d be behind Toles who is likely to see very limited time. He posted a 118 wRC+ and a .797 OPS this year in Triple-A, where he also successfully stole 18 of 20. Sure, he’s probably not ready to be an MLB regular but he deserves to be on an MLB roster getting more appearances than he would with the Dodgers. In January, the Yankees traded Locastro the Diamondbacks to clear a roster spot to sign DJ LeMahieu. Bellinger played center more than any other Dodger last year with 494.1, yet he still played significantly more innings at first. Joc Pederson contributed 187.1 innings in center field, but was written about in left field. Chris Taylor had 310.1 innings in center field which was the third most on the team, but he was primarily at short. Verdugo had limited time in the MLB last season with only 39.2 innings in center, but he logged more in right field, where he’ll be written about.